Refresh your home decor with this stunning Safara Outdoor Down and feather Filled 18-inch Throw Pillow. 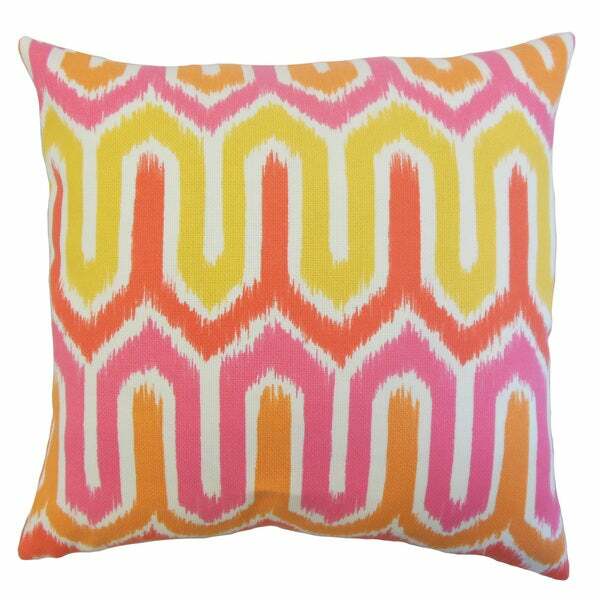 Add finishing touches to your patio, porch or backyard with this bright outdoor pillow. This accent piece features a unique ikat pattern in shades of orange, pink, white and yellow. Mix in with solids and other patterns from our pillow collection. Made of 100-percent synthetic materials. Comes standard at 18' x 18'. Pillow insert is 19' x 19' to ensure a tight and generous fit.